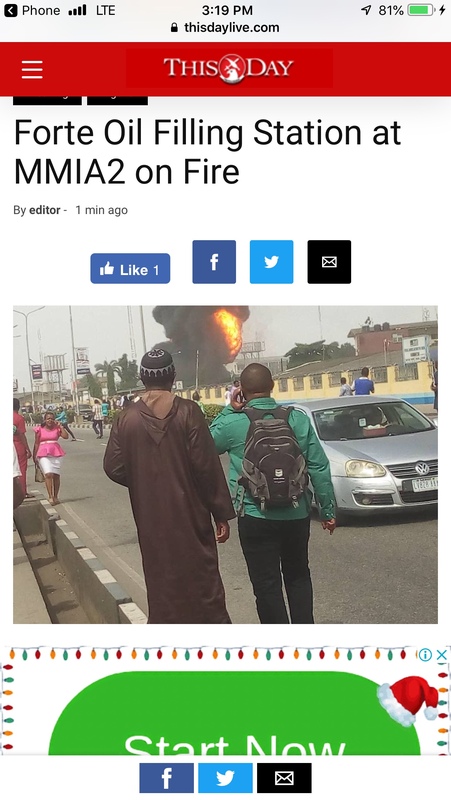 Forte Oil Filling State at MMA2 is currently on fire. The cause of the inferno is unknown at the time of filing this report. Details later..